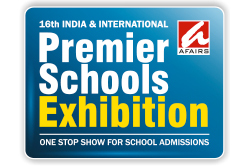 Premier Schools Exhibition’ is Asia’s leading & the oldest exhibition on School Admissions. This mega event travels to 12 cities in India and also to many International locations like UAE (Sharjah, Dubai, Abu Dhabi & Ras Al Khaimah), Thailand, Sri Lanka, Bangladesh, Nepal, Bhutan. Over one million parents have benefited by attending the Premier Schools Exhibition. 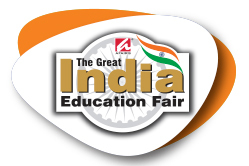 ‘The Great India Education Fair’ (TGIEF) is the leading and exclusive exhibition on Indian Education being held overseas. TGIEF is an ideal platform for Universities, Colleges & Schools to promote their institutions in overseas market and recruit foreign and NRI students for various programmes . 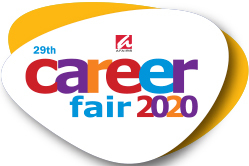 CAREER Fair is a one stop education exhibition focused on student recruitment after the Board examinations are over. This event takes place every year just after the 10th & 12th Board exams are over and when students are exploring various career options for admissions in the institutes of their choice. 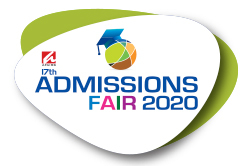 ADMISSIONS FAIR is a one stop education exhibition focussed on student recruitment after the Board examinations results. It is an excellent platform for Class 12 pass outs & Colleges students to target premier recognized Universities & Colleges in India & Abroad for pursuing UG & PG programmes all under one roof.